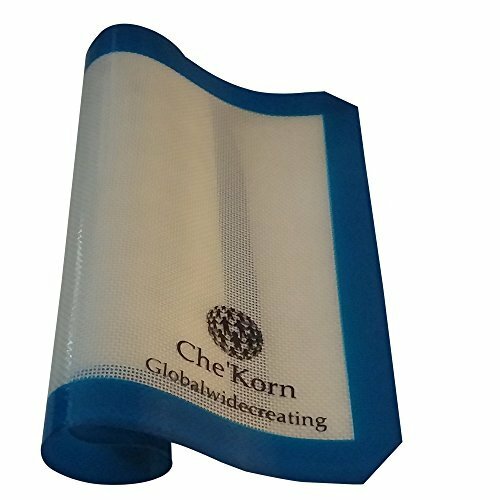 Che'korn Globewidecreating Silicone Baking Mat, 18x13 Blue. Environmentally friendly, non-toxic: These mats are durable for many usage;baking, freezing chocolate, kneading dough etc,. 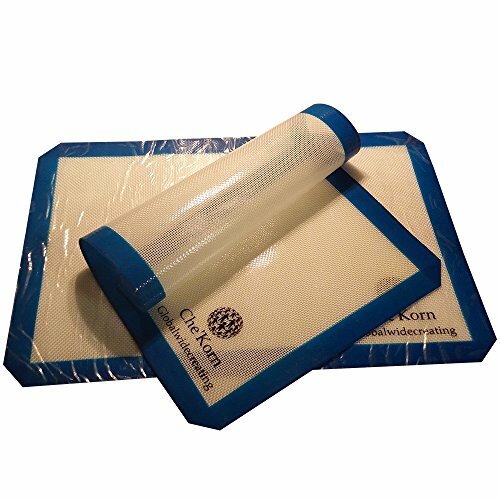 Made of professional grade fiberglass material , no harm to the ecosystems, FDA/ LFGB approved Heat resistant-mats can go from freezer to oven( no need to defrost) to plate. 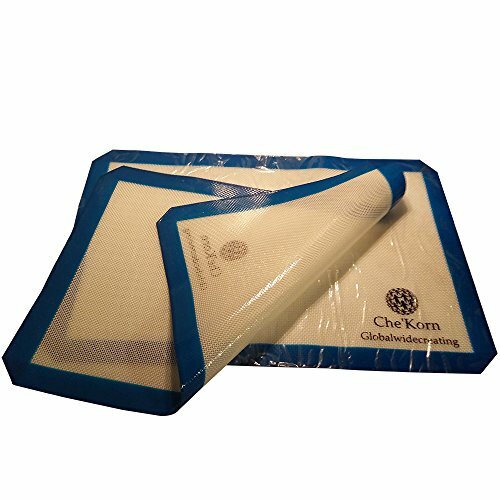 No cracking of mat from long range of temperature which stems from -40 degree C to 480 degree F. Mats are non-stick, your baked goods fall right off of mat without the use of oils, butters, or sprays. Chef smart- the smarted way to healthy baking, making your meals taste exceptionally delicious. 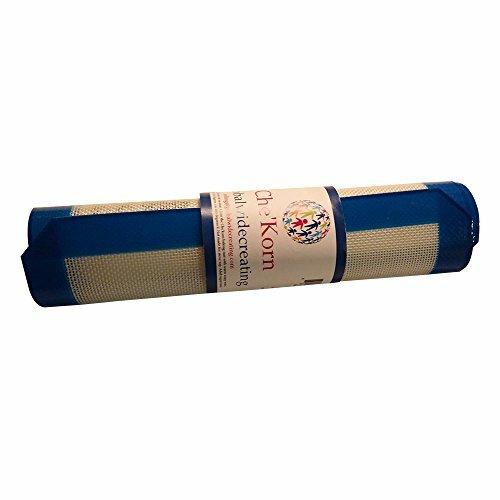 White with blue border makes, the half size (16 5/8 X 11 1/2 ) baking sheet easy to find, fits baking pans (18 X 13) inches, Flavors, nor odors will not absorb into your baked food, silicone baking mats are reusable for lifetime if taken care of properly.